The history of any community is alive in the people that make up that community as well as their artwork. I want to convey thanks and appreciation to Jackie Dedman and the few sketches she has kindly provided. All of her artwork is dedicated to Aunt Thelma Wills Fowler. 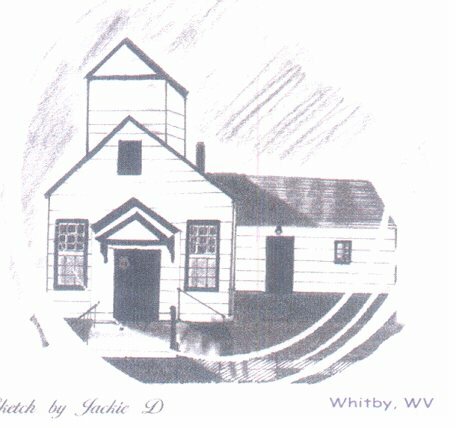 This is a wonderful sketch of the church at Whitby.